One of my absolute favorite things to do when I have free time is to watch movies.. I like all kinds of movies, but long before the movies are released in the theater the marketing posters arrive! Now –my- fun begins because as a graphic designer in Orange County, CA I just love to swoon over my favorite movie posters. They take me back to when I was growing up. My favorite last “taste of summer” before school started was to go to the movies. So as summer draws to a close, I thought I’d share a little information about what makes movie posters so special and “Introduce” everyone to one of my favorite famous designers. What’s the purpose of a poster? The purpose of a poster is to get people interested in an event, item or whatever the topic of the poster is. They can be used to entice people to enter a store for a special sale, get them interested in trying a new product or service. In the case of the movies, the poster is meant to whet people’s imaginations and get them interested in seeing a certain movie. They often depict characters and parts of the storyline in order to catch interest. Do posters have to be a certain size? No, but the idea is that they are large enough to read from a distance and get the point across. Standard movie posters are generally 27 inches by 41 inches. These are called a “One Sheet” by the movie industry. Many times people create smaller versions of the poster as a customer take-away. Can any designer create a movie poster? Yes and no. As a graphic designer in Orange County, CA I do create posters. I know other graphics professionals who do as well. Movie posters-especially for the blockbuster A-list movies-are a specialty of the profession. 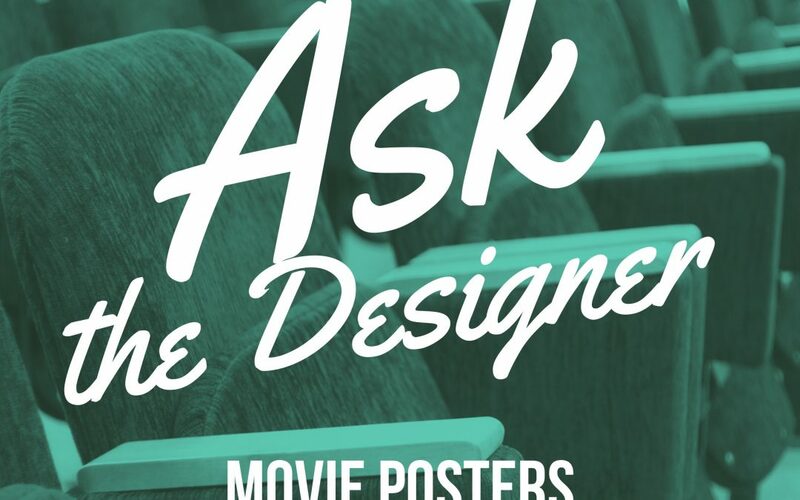 Many designers who create movie posters work for entertainment companies or marketing firms that are associated with the entertainment industry. Are any of these movie poster designers famous? Absolutely! A friend of mine is a huge movie buff, when I told her I was writing this, she said to me “ You can’t talk about movie posters without talking about Saul Bass”. She’s right of course! Saul Bass was an icon in graphic design. In addition to creating logos for well-known companies such as AT&T, United Airlines, and Girl Scouts USA, he created movie posters. Bass changed the landscape of the movie poster industry. Prior to Bass, movie posters looked very different. The designs themselves were pretty flat, oftentimes cluttered looking with drawings of main characters and depictions of main scenes of the movie. 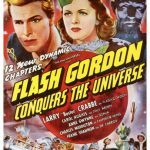 Sometimes they featured big block type as well, such as the poster for the 1940 Motion Picture “Flash Gordon Conquers the Universe.” Bass changed all of that. He is credited with pioneering new ways to feature type (many still used today). His posters also featured a more modern look with simple icon like images that spoke to key scenes. 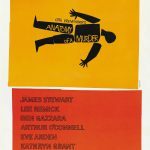 One of his most enduring posters is for the 1959 Otto Preminger film “Anatomy of a Murder.” It features a silhouette of a body seemingly cut in pieces with the title of movie stamped out of the legs and torso of the silhouette on a yellow block background. The cast of movie is typed out on a an orange block background. Bass’ last movie poster was created in the 1993 for Schindler’s list, but was ultimately rejected. Bass passed away from cancer in 1996 at the age of 74 capping off prolific 5 decade long career. Now you know a little bit about movie posters and a are a little more familiar with the genius of Saul Bass. Remember the purpose of a poster is to get people intrigued enough to want to know more! If you need a little help with your next poster! Contact me, I’d be happy to help!